Here’s another Huawei Mate 20 Pro leak to add to today’s tally. XDA-Developers uncovered some new features we might expect in the Mate 20 Pro based on information uncovered in an APK teardown of the camera app from a leaked build of EMUI 9 that surfaced last week. Of course, any of the features mentioned in the teardown won’t reflect what users will see in final retail software. Features can always be removed and replaced before a phone ships. With that said, let’s take a look at some of these features. The Mate 20 Pro is believed to be able to record video with the artificial bokeh that can be used to take photos. Of course, this hint is found in the values VideoBokenSpotShapeSupported and VideoBokehSpotShapeValueSupported. In the state it was found, the feature appears to be incomplete. Next up is AI Zoom. This feature will automatically adjust the video’s zoom level to properly keep the subject centered and in some kind of frame. According to the code, this mode requires that the video must be recording in at least 1080p, AI Cinema must be disabled, and beauty mode should be at level 0. Like the first one, this feature does not appear to work in its current state. What is AI Cinema? Well it’s another feature uncovered in this teardown. The Kirin 980 will be able to recognize objects in real-time which would enable the ability to apply cinematic video filters in real-time. The current list of filters includes: AI Color, Blur, Filter, Hitchcock, and Nostalgia. Here are images of the sample graphics that was found in the teardown. Finally, Huawei though it’d be a good idea to introduce an underwater mode. In the current state of smartphones, although most of them have some sort of IP-rating for protection of water damage, the general recommendation is that you shouldn’t intentionally submerge a smartphone as there is still risk of water damage. Well, with this mode, Huawei isn’t suggesting you dunk your phone in the water bare. 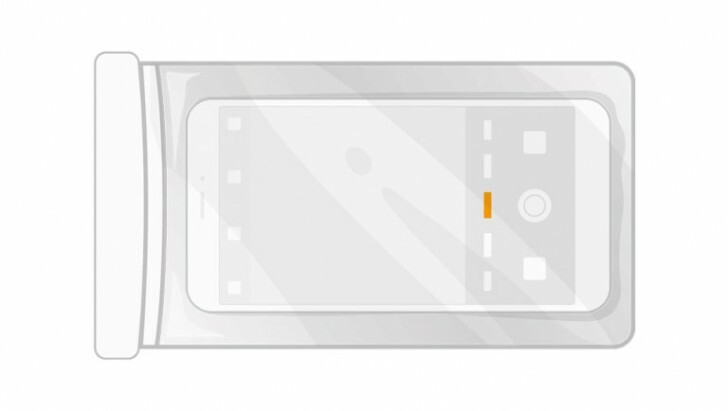 The graphic found for describing underwater mode shows a picture of a phone in a sophisticated plastic bag for the purpose of dunking them while staying dry. The purpose of the underwater mode is to be able to take clear photos in an underwater environment. If you’ve ever actually tried to use a capacitive touch display under water, you’ll find it absolutely impossible – nothing will register as a single touch. According to the teardown, this mode would let you shoot a picture with the Volume (-) button and take a video by pressing the Volume (+) button. Also, pressing the power key can turn the camera on or off. The teardown shows Huawei explaining that not following underwater mode directions carefully will not be covered by any warranty. Check out the fully detailed teardown by heading to XDA-Developers via the Source link below. ugly design. i'd rather pick the p20pro design than this.